Salé (Morocco), Sept 03, 2016 (SPS) Saharawi political prisoners of Gdeim Izik Group began Friday a hunger strike for 48 hours to request resolution of their situation and to protest against the inhuman conditions and ill-treatment perpetrated against them on the part of the Moroccan prison administration. The Moroccan authorities have recently transferred 21 Saharawi political prisoners of Gdeim Izik group from Salé prison to El Aarjat, after the announcement of Moroccan Supreme Court on July 27, trial of 23 convicted Gdeim Izik group and the referral of the case before a criminal court of common law. In November 2010, clashes erupted in the Western Sahara, when Moroccan security forces dismantled Saharawi camp of Gdeim Izik, where thousands of Sahrawis were protesting for social and economic demands. Hundreds of Sahrawis were arrested and 25 of them were sentenced to heavy prison sentences ranging from 20 years to life in prison by a military court. 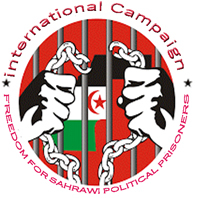 Saharawi political prisoners had conducted several times hunger strikes to protest against their arbitrary detention and unfair trial. International organizations as well as the families of the prisoners had on several occasions requested a fair trial in accordance with the international law on this issue, as it is of political detainees, it should be recalled. For its part, the UN High Commissioner for Human Rights expressed its concern at reports indicating that the Saharawis accused had been tortured and ill-treated in custody. "The use of military or special courts to try civilians raises serious issues as to the fairness, impartiality and independence of the judiciary" declared the spokesman of the UN High Commissioner.